Anish Kapoor is famed for his sculptures, which are often revelatory. He created Marsyas, the vast trumpet-like form that occupied the Turbine Hall at Tate, London in only the third such commission in 2002. His Cloud Gate in Chicago is one of the most iconic pieces of public art created this millennium, and continues to be a draw for crowds. Meanwhile, his ArcelorMittal Orbit towers over the site of the 2012 Olympics, which were held in London, his adopted hometown. On a more intimate scale, his alabasters, mirrored steel sculptures and works utilising pigment invoke a poetic beauty that resonates strongly. It is a reflection of Kapoor’s importance that his 2009 retrospective at the Royal Academy in London was the first exhibition ever held there to be dedicated to a single living artist. 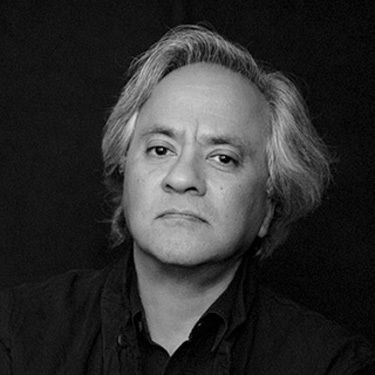 In 2013, he was knighted, becoming Sir Anish Kapoor, itself a rare accolade that emphasises his ability to combine his vocation as an artist with a public dimension. Kapoor was born and raised in India, the son of a Hindu father and a mother from a family of Iraqi Jewish descent. Eventually, he moved to London, where he attended the Hornsey College of Art and then the Chelsea School of Art. Following his graduation, he returned to his native India after several years’ absence. While Kapoor himself emphasises that this trip was not a watershed, it nonetheless galvanised him and provided him with new direction. He began to create works that were less site specific than previous ones, such as As if to Celebrate, I Discovered a Mountain Blooming with Red Flowers of 1981, which was included in the second part of the Whitechapel Gallery show British Sculpture in the Twentieth Century and which is now owned by Tate, London, alongside a significant group of his sculptures and works on paper. In works from that period, Kapoor had turned to raw pigment as a medium, and this has remained crucial in his works. The intensity of the colours of raw pigment are often used to create stunning visual effects, as the viewer loses focus in the shimmering surface. In more recent years, Kapoor has sometimes created mobile works involving unctuous red wax. In these, the wax allows a gradual process of creation, or even self-creation, to occur, often involving the exhibition space itself. For instance, at the Royal Academy, Kapoor showed Svayambh, a work that had already been shown in two other exhibitions, in which a vast block of wax moved backwards and forwards, gradually being shaped by the various apertures of the gallery through which it passed. In another work, Shooting into the Corner, a cannon fired red wax at the wall, creating an impression that combined Abstract Expressionism with blood spatter. The rich red of the wax has a deliberately fleshy quality that Kapoor exploits. Kapoor’s works often invoke symbolism, religion, mythology, culture and form. They celebrate their materials, often exploring their idiosyncrasies, be it in the case of the pigment-based works, his steel mirrors or his alabaster sculptures. In each case, Kapoor manages to create palimpsests of meaning and mysticism while retaining a strong lyricism.